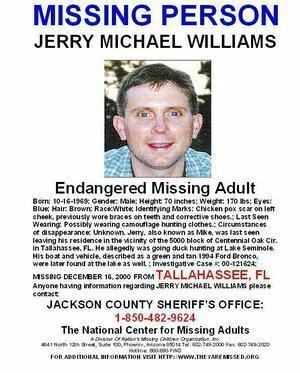 Jerry Michael Williams (born October 16, 1969), known as Michael or Mike Williams to his friends and family, has not been seen since December 16, 2000 when it was said he left his home in Tallahassee, Florida, United States, to go duck hunting. After the subsequent investigations, he was presumed to have drowned, but, in the years since then, later investigators have come to suspect he was the victim of foul play, possibly at another location. 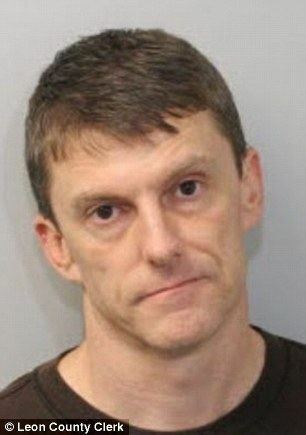 After Williams' boat was found abandoned on Lake Seminole, a large reservoir straddling the Florida–Georgia state line, the initial theory was that he had fallen out of it after some kind of collision. 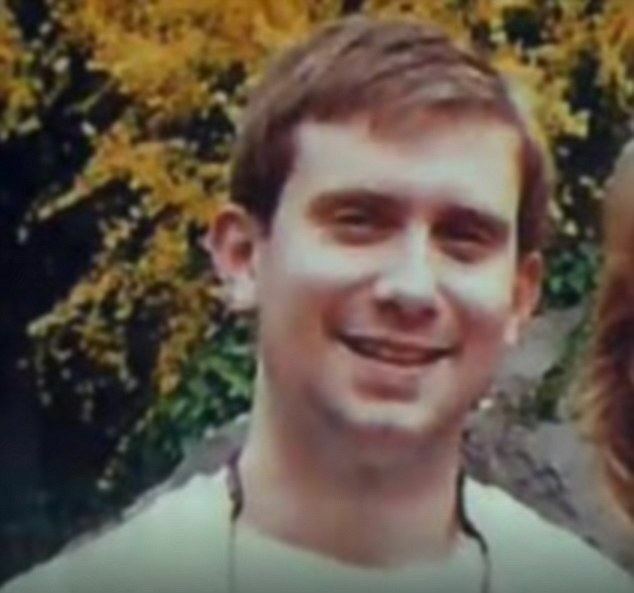 However, a lengthy and exhaustive search of the lake bed in the area failed to find his body: at that time, the only occasion that had occurred with a drowning death in the lake. It was eventually concluded that his body was eaten by alligators, and after his waders were found in the lake six months later, he was declared legally dead following a court petition by his widow, who later married a mutual friend who had helped her take out a large life insurance policy on Williams shortly before his disappearance. Some investigators felt aspects of the case were not consistent with that theory, and after pressure from Williams' mother Cheryl the case was reopened in 2004 by the Florida Department of Law Enforcement (FDLE). By then, officers had learned that alligators do not, in fact, eat during the winter months as the water is too cold, and it was concluded that foul play might have occurred. But it did not produce any new evidence as the potential crime scene had not been secured during the search for Williams. Two later investigations, involving the state's insurance fraud agency and the federal Bureau of Alcohol, Tobacco and Firearms in addition to FDLE, were likewise unable to uncover any significant new information. Cheryl Williams, who—like some residents of the area where her son disappeared—believes he is still alive, has continued to press the case, alienating many of the law enforcement officials she had previously persuaded to reopen the case. Her efforts included writing letters on a daily basis to the governor asking him to have the state reopen the investigation. The case has also been the subject of an episode of the Investigation Discovery channel series Disappeared. In 2016, the mutual friend was arrested on unrelated charges stemming from an incident where he allegedly kidnapped his wife, who was divorcing him. Williams grew up in Bradfordville (north of Tallahassee), the son of a Greyhound bus driver and a day care provider who raised him and his older brother Nick in a double-wide trailer. Instead of building a house the family saved its money so both boys, who helped by working nights at supermarkets, could attend North Florida Christian High School. There Mike excelled, serving as student council president, playing football and being active in the Key Club. At the age of 15, he began both duck hunting as a hobby and came to know Denise Merrell as well. After North Florida Christian, he attended Florida State University, where he majored in political science and urban planning. Before he had even graduated, he was hired by Ketcham Appraisal Group as a property appraiser. He distinguished himself as "the hardest-working man I ever saw", according to the company's owner. After he married Merrell in 1994, he would often go home for dinner and return to work after she (and later, his daughter) went to bed, and he sometimes went in to work after going hunting in the morning. According to his mother, Mike was making $200,000 annually by the time of his disappearance). He and Denise had bought a home in a small upscale subdivision on the east side of the city. In 1999, Williams' only child, a daughter, was born. His coworkers said he was as devoted to her as he was to his work. The following year his father died. Midway through the year, the couple bought a $1 million life insurance policy on him through Brian Winchester, a childhood acquaintance of Merrell who had also become best friends with her husband. Later in the year, Williams told his mother, whom he had been consoling, that he would have liked to have $50,000 to take the next year off. Two days before his disappearance, Mike and Denise told his mother and also informed his brother Nick that they were planning to have another child soon. In 2001, she said, they were planning to go on a cruise in Hawaii that spring; later in the year he expected to travel to Jamaica as well for work. According to Denise Williams, on the morning of December 16, 2000, her husband awoke early, leaving the house on Centennial Oak Circle with his boat in tow well before dawn to go duck hunting at Lake Seminole, a large reservoir approximately 50 miles (80 km) west-northwest of Tallahassee along the Florida–Georgia state line, where three other streams merge to form the Apalachicola River. The couple had plans to celebrate their sixth wedding anniversary that night in Apalachicola. At noon, Denise called her father to tell him that Mike had not returned, so her father drove with Winchester to the areas of the lake they knew Mike Williams frequently hunted at. They found his 1994 Ford Bronco near a remote boat launch in Jackson County, on the Florida side. After investigators with the Florida Fish and Wildlife Conservation Commission (FFWCC) were called, a search began, but soon had to be called off when a storm blew in. Searchers focused on the 10 acres (4.0 ha) of the lake around the cove where Williams' truck was parked. His boat was soon found roughly 225 feet (69 m) from the ramp by a helicopter pilot who initially assumed it was a boat being used in the search. In it, investigators found his shotgun, still in its case, but not Williams himself. The cove is locally believed to have been an orchard before the Chattahoochee and Flint rivers and Spring Creek were dammed to create the lake. It took its name, Stump Field, from the many remaining stumps that protruded above and below the water level, requiring careful handling of any powerboat in the area. Searchers thus assumed that Williams had hit a stump with his boat, fallen out, sunk into waters 8–12 feet (2.4–3.7 m) deep when his waders filled and then drowned when he was unable to extricate himself. If Williams had indeed drowned, his body would have been expected to float to the surface eventually, making it easier to discover. Investigators assured the Williams family that his body would, like other drowning victims, surface within three to seven days, perhaps a little later due to the cold front that had moved in after the first night's storm. However, after that period of time had elapsed, no body had been found. Ten days into the search, a camouflage-patterned hunting hat was found, but it could not be connected to Williams. Efforts continued until the search was called off in early February, although it has since been suggested that it might have been continued if Denise Williams had indicated that she would like it to resume. At that time, the case was still considered open. "Nothing in investigative or search and rescue efforts has produced any definitive evidence of a boating accident or a fatality as of this date," read the final report, issued in late February 2001. If Williams had drowned after accidentally falling out of his boat, his body would be the only one from 80 such deaths in the lake never to have been found. The head of a private search firm that supplemented official efforts near the end of the search offered a possible explanation. "With the wildlife around, I would guess that the alligators have dismembered and have stored the remains in a location that we would not be able to find," he wrote in a report. Early searchers had reported seeing many of them, and some of the officials were willing to accept the possibility. "Everyone knows the lake is full of alligators," said the FFWCC's David Arnette. "You look for other answers: 'Why hasn't the body appeared?'" It was suggested that perhaps Williams' body had become entangled in the beds of dense hydrilla beneath the lake surface, and then found by the alligators later, with turtles and catfish finishing what they had left behind. Denise Williams, who had avoided media attention during the search for her husband, accepted that her husband had died. She arranged for a memorial service for Mike to be held the day after the search ended. In June, an angler in the Stump Field area discovered a pair of waders floating in the lake, and divers called to search the area then recovered from the lake bottom a lightweight hunting jacket and a flashlight: in one of the jacket pockets, there was a hunting licence with Williams' name and signature. However, there were no teethmarks or any other damage on the waders, none of the recovered items showed signs of having been in the water for anything like the period Williams had been missing, and there was no DNA evidence found to link the clothing to him. Nevertheless, a week later, a Leon County judge granted Denise Williams' petition to have Mike declared legally dead on the basis of those recovered items and an assumption that alligators and other water life had consumed the body in its entirety. The court decision allowed Denise Williams to immediately proceed with claims on her husband's life insurance policies, from which she received $1.5 million. Five years later, she married Brian Winchester, who had sold Mike some of the policies a few months before he disappeared, and the couple have since lived in the same house where Denise and Mike lived. Denise and Brian have mostly declined to discuss the case publicly. The private search team that surmised the alligator theory had been hired near the end of the original search by Williams' mother Cheryl. 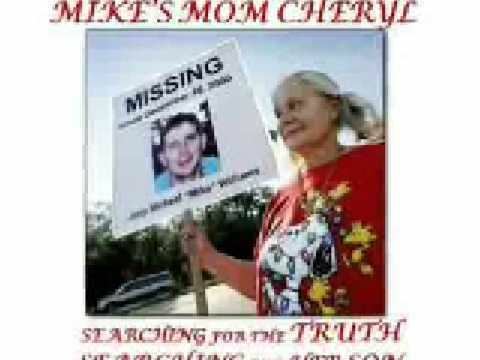 After it ended, and after her son was declared legally dead (proceedings she said in 2008 she would have contested had she been aware of them), she was not convinced that he had drowned in the lake, but her attempt to bring about a further investigation was unsuccessful and she has stated that she received threats to discourage her. For the next several years, she investigated on her own when not operating a day care at her home. She ran advertisements in local newspapers and put up signs seeking information. All the subsequent investigations of the case have resulted from her efforts. She believes her son is still alive. "I get criticized a lot for not admitting that Mike’s dead," she told the Tallahassee Democrat in 2007. "All I know is I can't stop looking for him until I find him." Her efforts have severely strained her relationship with her former daughter-in-law. The storm the night after he was reported missing had easterly winds that should have blown the abandoned, unmoored boat across the lake to the Georgia side. When the boat was recovered, its engine was off, yet the gas tank was full. According to the manufacturer, if it had been on when Williams allegedly fell out of the boat, as investigators had theorized, it should have stayed on, with the boat running in circles until its fuel was exhausted. "Something sounds fishy on that deal," he said when the situation was described to him. Doubts that Williams had drowned became much more serious when they learned that, in fact, alligators do not generally feed during the winter months due to the colder temperatures. During the search period, daytime temperatures averaged around 55 °F (13 °C) with overnight lows below freezing. Some nights got as cold as 19 °F (−7 °C); a fire was built in a 55-gallon drum on the shore for searchers to stay warm. The water, already at 58 °F (14 °C) the day of Williams' disappearance, dropped to 46 °F (8 °C) and the lake iced out to as much as 20 feet (6.1 m) from shore. And even if an alligator had "defied all known gator behavior," and eaten Williams' body, as another investigator, Ronnie Austin, then with the state's attorney's office, put it, it would likely have left something behind. Williams was 5 feet 10 inches (1.78 m) and 170 pounds (77 kg). Aresco considers any theory that attributes the missing body to alligators and any other aquatic animals a "stretch ... It would be very, very unusual to have the complete disappearance of a full-grown man." The waders discovered almost six months after Williams' disappearance further undermined the alligator theory. While the diver who retrieved them reported that they were in an area of disturbed weeds with alligator excrement nearby, consistent with the original belief that Williams had drowned while wearing them, he allowed it was "anyone's guess" as to whether they had been later planted in that spot. "These waders, we don't know where they came from," Austin said. Investigators suspicions' were further raised by the waders' condition—undamaged, without any tooth marks, and lacking any of the residue that would be expected to accumulate on an object submerged in the lake for as long as the waders had purportedly been. Arnette filtered the water in them when they were recovered and did not find any human remains. The hunting jacket and flashlight were likewise in much better condition than expected, with the latter even working when turned on. And apart from the condition of the waders was the question of why Williams would have been wearing them when he supposedly fell out of the boat. According to a friend who hunted with him frequently, including one week before his disappearance, Williams took safety very seriously, keeping his guns at work, away from his daughter, among other precautions. On the water, he never put his waders on until he had reached the point where he planned to get out and start hunting, following a common safety procedure in order to avoid the type of accident he was later believed to have died in. "As much as he preached that to me," the friend said, "why would he be wearing his waders while driving the boat?" However, the new investigation was made extremely difficult by the deficiencies of the original search, when criminal activity had not been considered. "They did not protect the crime scene at all," recalled a Williams family friend with law enforcement experience who tended the drum fire during the search. "They botched it." By the time investigators began to realize that they should have asked some more questions, the opportunity was gone. Williams' Bronco and boat had been returned to his family and friends, the footsteps of the many volunteers and searchers all over the lakeshore had made it impossible to collect any evidence from that area, and the items later recovered from the lake had not been retained. Without any of that evidence, or Williams' body, it was impossible for police to make a case. "[We're] at a brick wall ... pounding our heads against it," said Austin. Derrick Wester, an investigator with the Jackson County sheriff's office, agreed that they were "trying to make up for" not having considered the possibility that things might not have been what they seemed in 2000. His office still considers the case open and has some persons of interest, although he did not identify them. The FDLE closed its case convinced that the alligator theory was wrong, but without any leads or evidence that could allow it to further investigate. By 2006, its cold case investigators were no longer returning Cheryl Williams' phone calls. She continued to do what she could to publicize the case, taking out ads in the Tallahassee Democrat. A possible new lead emerged in October 2007, when Michael Williams' older brother found a photograph and the serial number of a .22-caliber Ruger pistol that had once belonged to their father. Michael had inherited it after his father's death, and after Michael was declared legally dead it was the only one of his firearms that Denise Williams had not returned to her former in-laws. After the Jackson County sheriff's investigator Wester asked the federal Bureau of Alcohol, Tobacco and Firearms (ATF) to look for it, agents visited Denise and Brian Winchester, now married, in their house (the same one she had lived in with Michael) to interview them. Several days later, their attorney delivered the gun to the FDLE. It was sent to a state forensics laboratory for DNA testing: the results have not been reported. 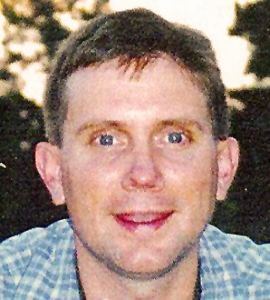 On the anniversary of Williams' disappearance that year, the Winchesters made one of their few public statements on the case: "For seven years we have prayed and hoped to find out with certainty what happened to Mike," Brian said in an email to the Democrat, and that "Nobody wants Mike found more than we do." Rumors were circulating around Tallahassee that a grand jury had been hearing evidence and would soon hand down indictments. "The circumstances surrounding this case raise many serious and troubling questions," said DIF's lead attorney, Mark Schlein. Perry, the FFWCC officer who had been heavily involved in the original search, added at the time that if he or any other person investigating had known that there was a large life insurance policy on Williams, and who the beneficiary was, that search might have been handled differently. It was noted that Denise Williams' court petition to have her husband declared legally dead mentioned only the Kansas City Life Insurance Company policies Winchester had sold him, omitting policies through other companies that Michael Williams had obtained through other sources. However, Brian Jones, an expert in insurance law at Florida State University, told the Democrat that any fraud case would have to rest on more than just those facts already known that had aroused investigative interest. "The mere fact that they can't locate the body isn't necessarily something the insurance industry would care about," he said. 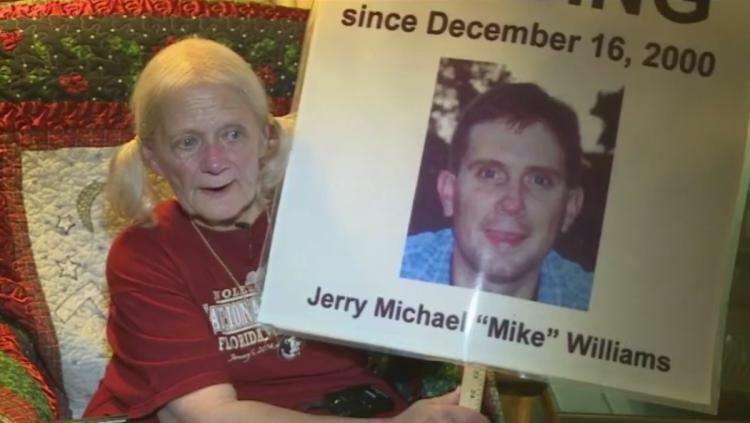 But if Michael Williams were to be proven dead and the beneficiary were to have shown to have been involved, or if he were still alive (as his mother and many residents of Jackson County believe) then an insurance company would strongly consider pursuing a case. By the eighth anniversary of Williams' disappearance, however, the DIF had closed the case. "Our job was extremely difficult, and we were simply unable to develop enough evidence to proceed with the investigation," Schlein said. He added that if new information were received, the investigation could be reopened. "We have suspicions, but what we need is evidence." Another possible lead that year proved fruitless as well. Carrie Cox, a self-described psychic and certified forensic psychological profiler from Kentucky reviewing the case had identified a possible location of Williams' body. She gave investigators the coordinates of a location in Wakulla County near another boat launch. Cadaver dogs were brought to the area and sniffed it out, but found nothing. Cox nevertheless concluded that "we are moving in the right direction.... I think something is there." FDLE officials said in 2011 that Cox had not found anything requiring further investigation. By then she had become disillusioned with the FDLE, believing that it was either incompetent or uninterested in resolving the case. In particular, she has come to believe the investigation was hampered by the involvement of agent Mike Philips, a friend of both her son and his then-wife. Philips had told her early on in the search that Michael had probably been eaten by alligators, so she had assumed he had been involved in the investigation at that point. He said later he never was and was merely trying to comfort her; FDLE said his involvement was limited to asking his superiors if the agency could help with the search; it did not see a need to formally investigate his role. Starting on New Year's Day in 2012, she began writing one letter a day to Governor Rick Scott, asking him to either have another agency besides FDLE investigate or appoint a special prosecutor to do so. After she had written over 200 without even an acknowledgement that they had been received, she began inquiring personally as to why. It turned out that the governor's office had forwarded them, unopened, to FDLE's headquarters, where they were placed in the case file. She was outraged. "They could not have hurt me more if they had punched me in the face." In 2012 Denise and Brian Winchester separated; she filed for divorce the following year. Brian opposed it initially and had to be ordered to comply. As part of that order, he was to provide an appraisal of the couple's house, due early in August. On August 5, 2016, the day when the appraisal had to be filed with the court, Denise left her home to drive to her job at Florida State University. While she was talking on her phone to her sister, she saw someone climb over the back seat of her car. It turned out to be Brian. He took her phone away and began yelling directions at her. She did not comply until he showed her a gun. She said later that he claimed this was necessary since she was not taking his calls and blocking his text messages. Instead of going where he wanted her to, she pulled into a CVS drugstore parking lot, close to the door. Brian, Denise says, told her that he was planning to kill himself with the gun. He did not want the divorce and felt he had nothing to live for if it went through. He assured her he did not want to kill her. She was able to calm him down and took him back to where he had parked his own truck at a nearby park. Before he went to it he took a tan sheet, a different-colored plastic sheet, a spray bottle of bleach and a tool from Denise's car. After she left, Brian pulled up to her and apologized for his actions. Despite her promise to him not to tell police about the incident, she drove straight to them afterwards. Brian was arrested and charged with kidnapping, domestic assault and armed burglary, with two of charges being felonies. Denise requested protection orders, saying she feared for her life and her daughter's. After a hearing the next week at which she said she could neither eat nor sleep since the incident, the court decided to hold Brian without bond. In the early 2000s, Cheryl Williams had posted flyers, put up signs, and run newspaper ads soliciting information about the case. One of the ads drew the attention of Jennifer Portman, a reporter at the Tallahassee Democrat. In 2006, after the closure of the first FDLE investigation, she wrote a lengthy story about the case. She has continued following the story, a decade later, making a point of keeping the poster for the case on her cubicle wall. In 2011, the case made it into two other media formats. Carrie Cox, the psychic and profiler who had identified a possible burial site at which no body was found, published Alligator Alibi, a lengthy book with documents from the investigation, Cheryl Williams' notes, and her own commentary. She has supported it with an eponymous Facebook page, where she regularly publishes whatever updates she can and news about other, similar cases. Near the end of that year, the Investigation Discovery cable channel series Disappeared devoted an episode to the case. Cheryl Williams promoted it heavily in the days before it aired. Portman, who was interviewed, says she can always tell when it gets rerun due to the increase in email she gets, many of which ask questions she herself has tried in vain to get authorities to answer. After one such re-airing in 2015, she expressed the hope that "one day ... instead of a question, there will be an answer."